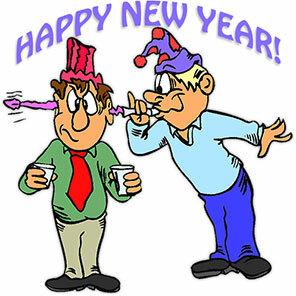 This category includes both animated new year gifs and new year clip art images. We have Father Time and his hourglass plus Baby New Year raring to go to work. Also on these pages are fireworks, balloons, clocks, confetti, cocktails, champagne, sparklers and more. Happy New Year 2019! 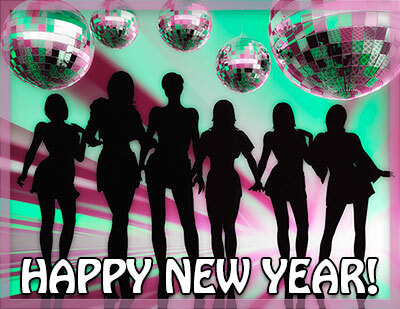 Happy New Year - It's Time To Party! 2019! Happy New Year! with animation. Father time with hourglass and Happy New Year! Happy New Year! with glitter animation. Happy New Year with fireworks and stars. Happy New Year 2019 animation with a black background. Happy New Year 2019 with Baby New Year and Father Time. Pop the cork on the Happy New Year champagne animation. 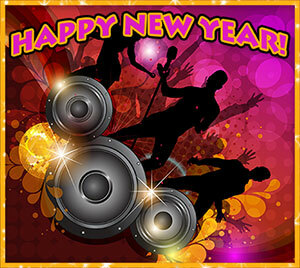 Celebrate The New Year with a dance party. 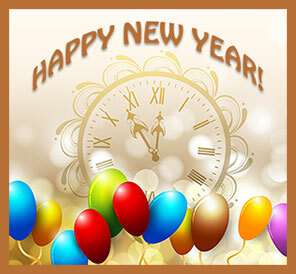 Happy New Year with midnight clock and balloons. 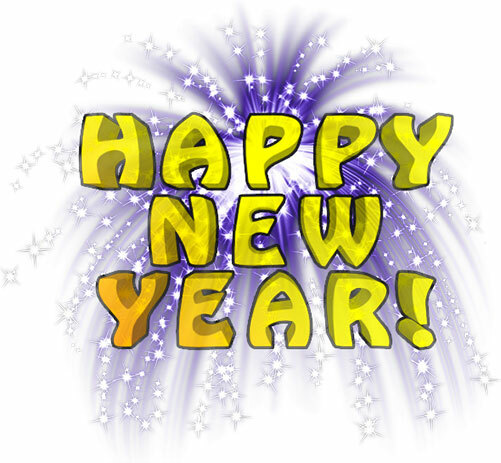 Animated Happy New Year in many colors. Happy New Year 2019 with fireworks. Friends (perhaps ex friends) celebrating the New Year. Happy New Year with stars. Happy New Year with fireworks. 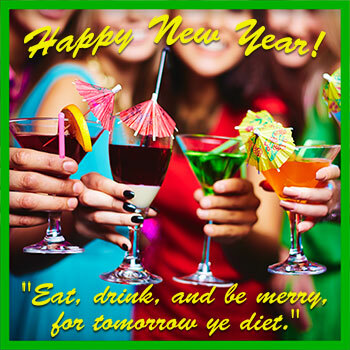 Happy New Year - eat drink and be merry for tomorrow ye diet. Happy New Year 2019 with gradient color animation. 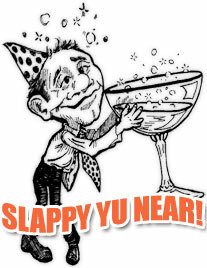 Count down to the new year. Happy New Year celebration smiley face style. This is a transparent gif file. Celebrating the New Year with a little bubbly. Celebrating the New Year with noisemaker animation. Happy New Year Mom animation. Smiley and his dog celebrating The New Year! Time to pop a cork, animated gif. Happy New Year in 3D with frame. Happy New Year with fairies animation. 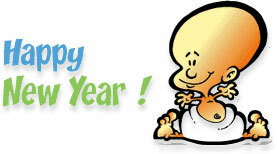 Happy New Year from Baby New Year. 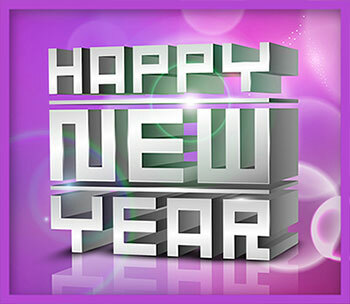 Happy New Year 2019 PNG with transparent background. Happy New Year from the clowns. 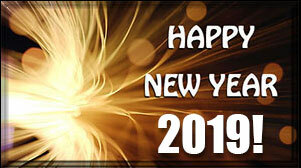 To use our New Years clipart or graphics please and give us credit. 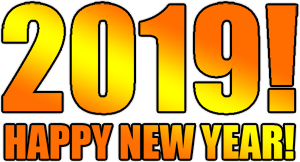 Happy new year, 2019, baby new year's, father time, man, women, balloons, fire works, gifs, happy new year clipart, animations, animated, people, new year's day, hour glass, holidays.